Regardless of the industry you specialize in or the structures used, chances are that your business relies on a series of staircases to provide safe and reliable avenues for your building’s inhabitants. This design element is common in homes, businesses, and other buildings all across the globe, delivering versatile performance for decades of use. Our steel structure design team is here to provide amazing outcomes for all of our clients, whether they need structural steel fabrication, detailing, erecting, or more. 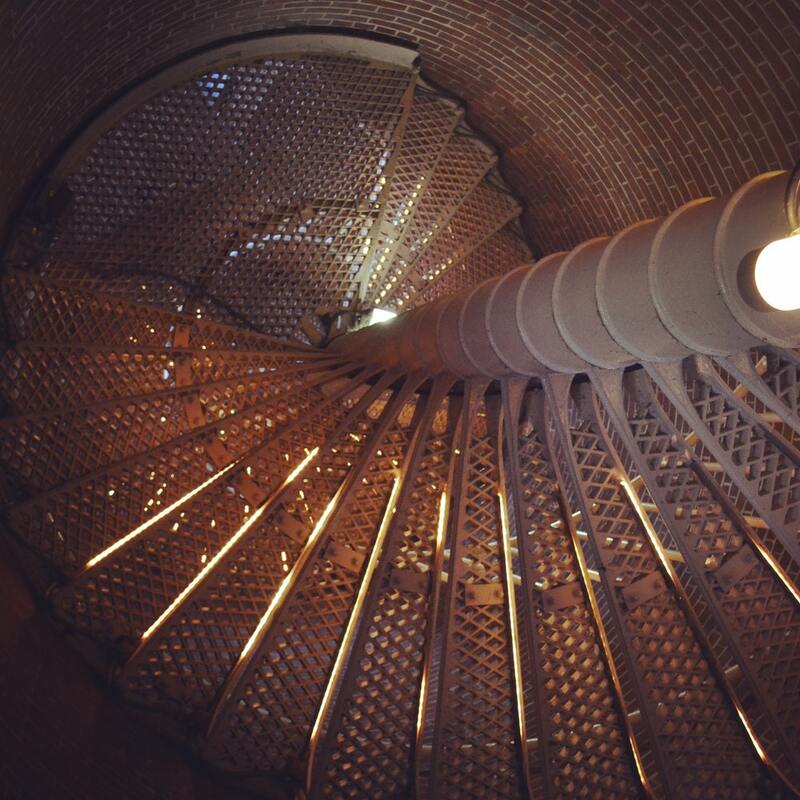 Since 1967, our team has worked to deliver the best results, including staircase fabrication services. Our structural steel fabricators in Michigan work hard to create personalized results to match your building’s needs. From architects and designers to property owners looking for improvements, Sanilac Steel is here and happy to help. Today, we’ll highlight the different staircase design options available to meet a wide range of needs. If you’re in need of structural steel services, crane rentals, mobile welding services, or anything in between, contact us now! The strength and versatility of structural steel allow it to be used in a variety of applications. Below, you’ll find six stair designs that may prove beneficial in your building design. Sanilac Steel is here and ready to provide the structural steel design, fabrication, and installation services to get your project done on time and on budget, so call us with your specific demands. This common design theme is seen everywhere, as many builders can rely on the dependable outcome of a straight stair design. Simple, functional, and aesthetically pleasing, straight stairs consist of one span of steps that connect a higher level to a lower one. Individuals can expect straightforward results with these stairs, as simplicity is the name of the game. Winder stairs may not sound commonplace, but the truth is that this element is popular in many tight spaces where a landing is not possible. Many builders utilize winder stairs that turn 90 degrees to incorporate more stairs in a smaller span or 180 degrees to be more conservative, taking up more space but allowing for more room. These full-turn stairs are called double winders, which offer more versatility in narrow halls. Builders looking for a 90-degree turn in their stairs can benefit from single winders, but stairs featuring a quarter landing provide the advantage of a large, flat landing. Typically, you will find this design choice at the bottom of the stairs, with one or two steps turning 90 degrees. This may be ideal for areas that need wider, straighter steps with safer designs. Keep in mind, though, that the advantages of a landing will also reduce the number of steps available, making it hard for some builders to find a landing design that fits. Steel staircases are available that provide the versatility of double winders with the added safety of a landing. Half-landing staircases consist of a flat surface that allows users to make two turns in one space, completing a full 180-degree rotation in the process. Many structures rely on half landings because they are safe, relatively easy to install, convenient, and adaptable. Those seeking the most functionality for their investment can benefit from a half landing steel staircase from Sanilac Steel! Designers looking for dramatic results that favor bold looks over functional performances can succeed with a curved staircase. When designed and installed properly, a curved staircase serves as an integral focal point in your structure. Visitors and employees can be greeted by the beauty of a quality staircase, making it important for those in industries such as tourism and hospitality to meet a high visual standard. Sanilac Steel has experience in providing custom steel structure design and fabrication services, delivering a range of curved stairways to match your building’s design specs. Homeowners can also benefit from the elegance of this steel design. You can invest in a curved staircase, or go with a tighter option that provides a complete curvature. The result is a small turning radius, providing adequate support and safety in limiting spaces. A wide range of structures can benefit from a spiral staircase, as it provides a quality alternative to using a ladder system. Keep in mind, though, that spiral stairs are not meant for heavy use or fast travel. When utilized properly, spiral staircases can capture the mood of a space. Design elements can help builders to make amazing strides in tight spaces, often creating more affordable prices as a result. Our ornamental metal work includes spiral staircases to match many needs, from farming and industrial applications to apartment buildings and more. 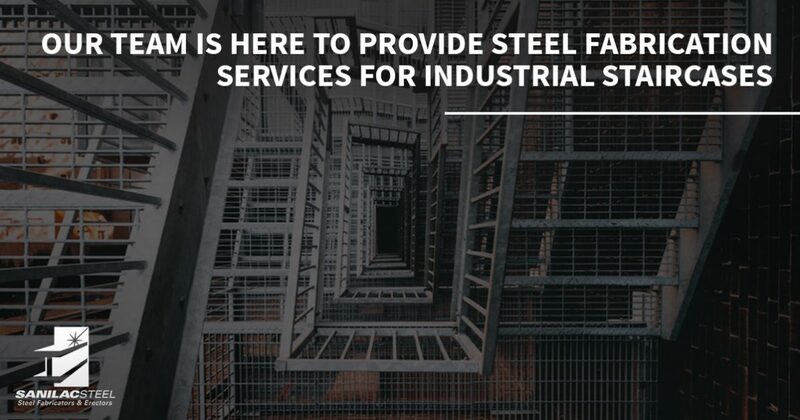 Sanilac Steel is here to serve as your trusted structural steel fabricators in Michigan, delivering uncompromising quality with all of our metalwork services. From steel structure design to fabrication, erection, and more, our team is here to provide precise results. Contact us today to learn about our experience with metal staircases.